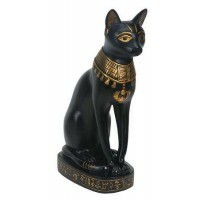 Cats were sacred to Bastet, a sun goddess who represents the warm, life giving power of the sun which was represented as a Scarab beetle. 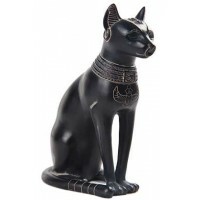 Bastet as her role as Sun Goddess, sits upon the Sun, represented by an Egyptian Scarab beetle in this gorgeous cold cast resin statue. 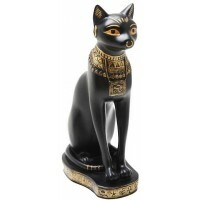 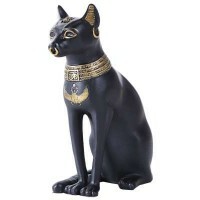 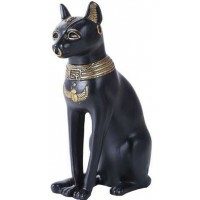 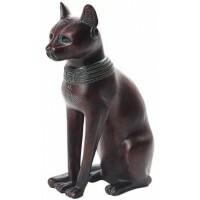 Solid black, this cat Goddess statue is 7 1/4 inches high with very fine detail. 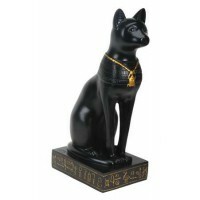 Item Number: YT-8457 | Approximate Size (Inches): 4.75 wide x 2.50 deep x 7.25 high | Approximate Shipping Weight: 2.50 lbs. 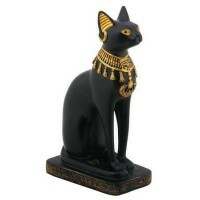 Cats were considered sacred in ancient Egypt. 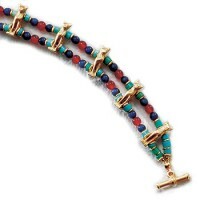 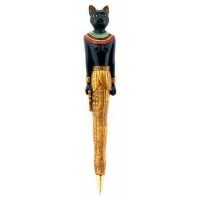 They represented Bastet, t..
Has a brass tip which unscrews to let you replace the pen insert (note -..